Gruen Associates was the Design Architect for the memorial project that allowed our team to intimately interface with the neighborhood. 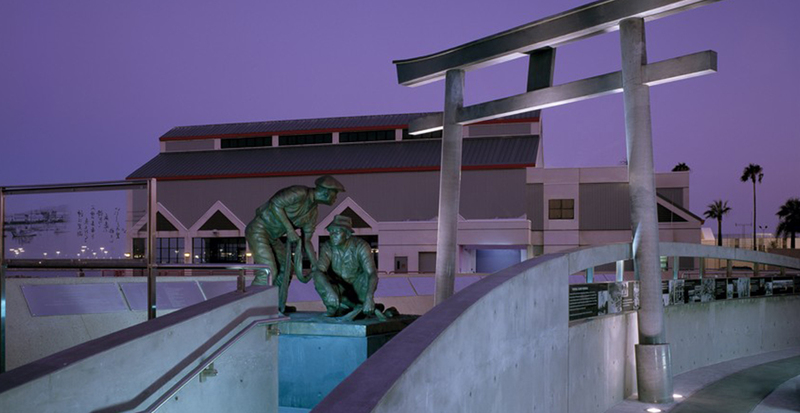 The art installation project was designed as a memorial to honor the Terminal Island Japanese fishing village whose community was forced out of their homes and relocated during World War II. The design is composed of an elevated viewing platform with a traditional torii gate, which frames a view of the site. Statues of Terminal Island fishermen, along with image panels of the former community create a rich cultural and informative experience. During the Design Development phases, we were able to bring together a cross section of viewpoints within the Terminal Island community, additional information and opinions to meet our ultimate goal of creating a memorial that was impactful and influenced by the stakeholders.